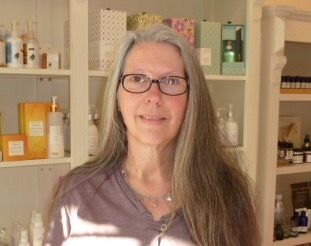 My Home and Garden: A wind storm hits the island. Our Island. Last night we had incredible winds on Vancouver Island. The forecast was for winds up to 100kph. It seemed like more. 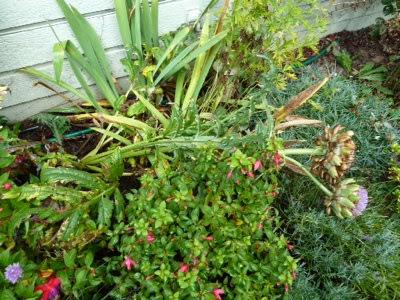 Here are some pictures of the minor damage the gardens experienced. Not pictured is a branch of my Rhododendron that was lying on the lawn. Allan cleaned it up before I could. A great Gardener's assistant. 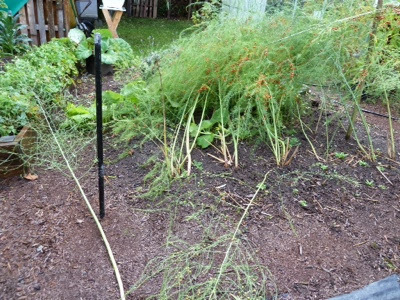 My asparagus branches fell over. They had been secured on a couple of stakes. One was ripped out and down when the asparagus. 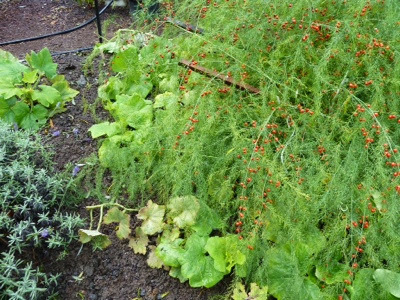 A different view of the asparagus. There were several that were snapped right off. 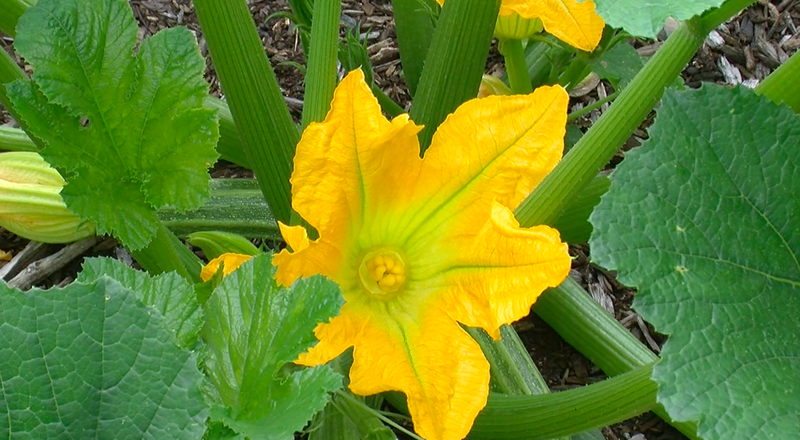 My squashes are all disheveled as well. 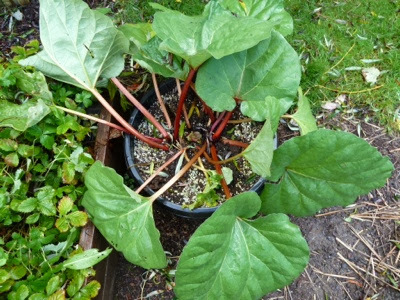 The rhubarb my brother sent to me, got pretty battered and a few stalks broke off. My artichoke toppled right over. My beloved Meyer Lemon fell over. WHAT!!!???? That pot is almost three feet across and it was waterlogged and super heavy. 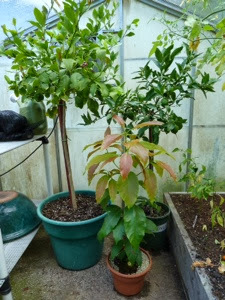 Allan sounded the alarm and we ran out and moved the lemon, lime and avocado into the greenhouse. I was going to put them in today anyway. Wow! That was some wind! Did you get the heavy rains they were forecasting too? It was amazing!! We got about four inches of rain in the past 24 hours. I have a big food grade bucket that is in the yard waiting to be put away. I'm using it to gauge rainfall. Gosh, that sounds awful. I hope the plants will recover OK. They usually do. Is the Meyer Lemon all right?